Woo Hoo!! 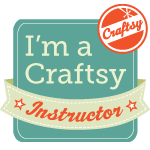 Labor Day sale going on at Craftsy!! You can order my new video, New Approaches to Mixed Media Materials, or any others at 50% off this weekend through Labor Day, 9-5-2016. This blog is really helpful for me. I am seeking such type of information. Thank you so much for sharing this information.